The mission of the Property Management Services Department is to maximize the value of each property placed under its care through insightful decision making and utilizing trendsetting methods to cut costs and improve market value wherever possible.  While most Property Managers utilize the “Cookie Cutter” approach to managing commercial real estate, True North Investments operates on the basic principal that all buildings are unique and require a management plan that will be equally unique and customized for the operation of the facility. Each property is carefully evaluated for every possible means of asset improvement and value optimization. With Tenant retention being one of the highest litmus tests for successful Management, The True North Investments Management Team forges partnerships with each and every Tenant. Tenant retention is enhanced because the Tenant feels like they are part of the decision process and that there voice are clearly heard and understood. Management achieves the indirect benefit of having every Tenant and their employees feel like they are part of the team and therefore are willing to go out of there way to participate in the operation of the facilities. The Property Management Services Department is headed by Paul Watte and Ben Salomone.